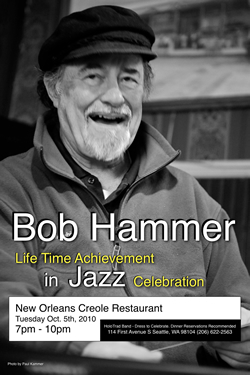 Next week we are celebrating Bob Hammer at the New Orleans Restaurant on Tuesday, October 5th from 7pm – 10pm. Some of you have worked with Bob, or have played from his charts. Those of you who don’t know him, and all, please read on. The main reason we are celebrating, is because Bob Hammer is 80 years old and has made his living, solely in music for OVER 60 (sixty years). And he has many ultra-high honors to his name, including arranging for Charles Mingus who called Mr. Hammer his “…Beethoven.” It is possible and likely that all of us have heard Bob’s work through the years on main stream media. Therefore we have been influenced by his work. I am also presenting a picture of Bob Hammer to Gaye, to hang on the wall atn the New Orleans. I feel it very important to recognize Gaye for her decades of contribution to Live Music. (She already told me today, that she will not get up on stage.) 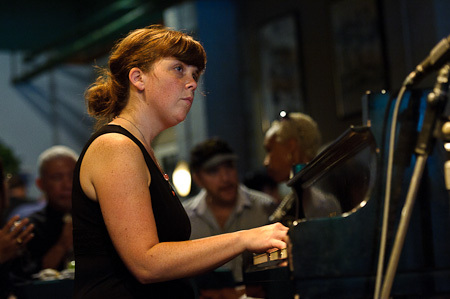 Regardless, we are honoring her as well as Bob and I urge you to come to the New Orleans next Tuesday (Oct 5) at 7pm. It is a-la-carte, so please buy a drink or some gumbo and support the house. HoloTrad Band is playing their regular gig (don’t forget to tip the musicians!). If you have a gig and can’t make it, email me a message to read to Bob from you if you wish. And I will gladly accomodate. 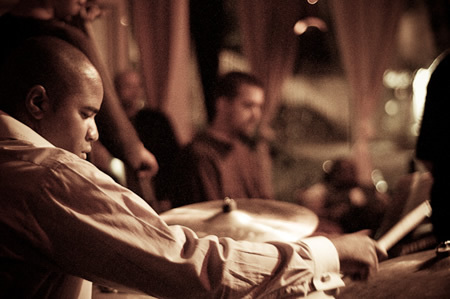 Please consider spreading the word to your friends of jazz and live music. Go Live! Support Live Music! Excellent music can come from construction and deconstruction equally. That seems to be the main point to be proven by saxophonist Richard Cole’s Inner Mission. 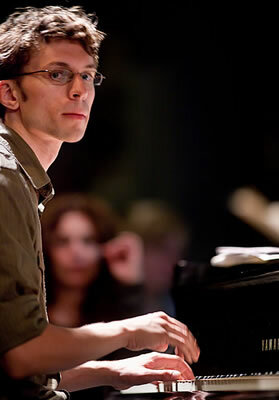 A number of original numbers build from the ground up here, forming a complex sound from primary elements in combination with co-writer and pianist Bill Anschell. 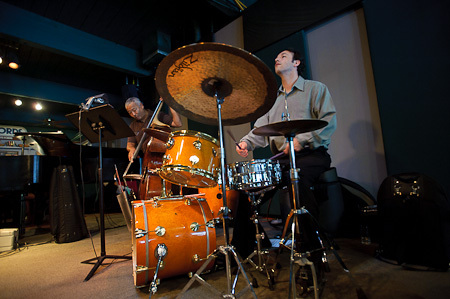 At the same time, classic pieces are deconstructed, taken apart by the riff or the note to barely recognizable parts and reworked into careful, flowing jazz. The saxophone in the Beatles’ “Come Together,” combined with electric piano, makes for an ethereal, brooding piece of nightclub ambience. 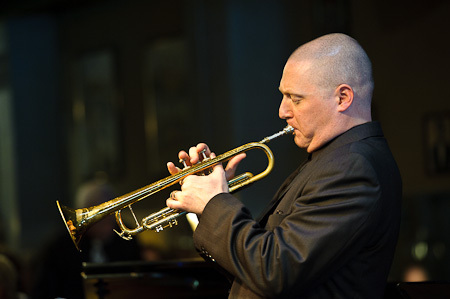 “Slow Hot Wind,” on the other hand, builds from a soft tapping from drummer Matt Jorgensen into a showcase for exploratory brass solos from Cole and trumpet maestro Randy Brecker. 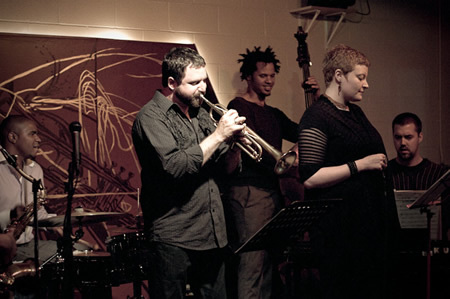 Throughout the album, this sort of work is the norm — from very slight beginnings the group crafts a strong sound, while reworking initially strong compositions to create more interesting and new pieces altogether. Both forms of creation are composed well and performed beautifully in this case, with the bandmembers’ considerable abilities powering the compositions into exceptional end products. A lesser band couldn’t pull this off, but Cole and his crew do so with ease. 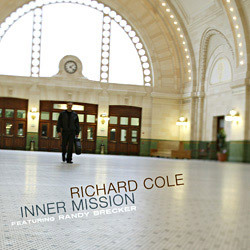 Note: Richard Cole will celebrate the release of Inner Mission at the Earshot Jazz Festival on Wednesday, October 20 at Tula’s Jazz Club. 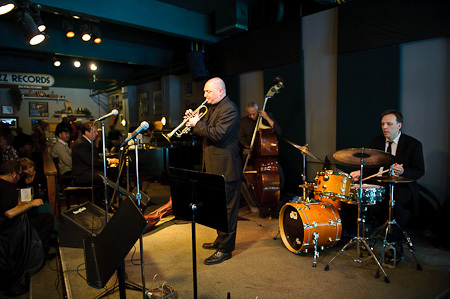 Contact the Triple Door for tickets at 206-838-4333 or online. 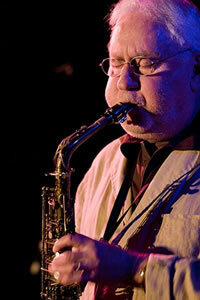 Earshot Jazz is proud to present one of the most fluent and distinctive alto saxophonists in jazz history. 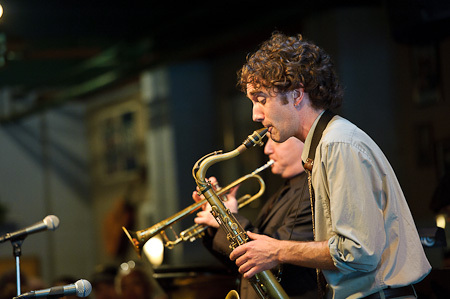 Lee Konitz is revered in the jazz world for establishing his own unique voice on the alto saxophone while most others were under the huge influence of Charlie Parker. 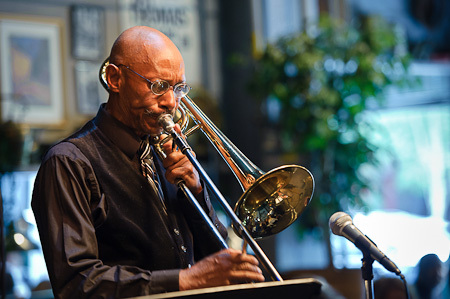 His association with the Cool Jazz movement of the 1950s included participation in Miles Davis’ legendary Birth of the Cool sessions. 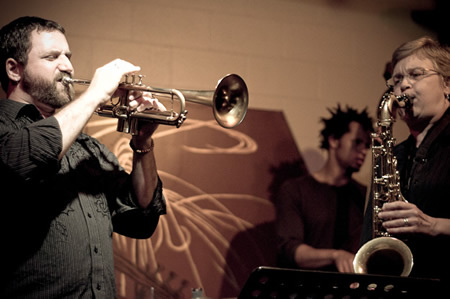 From his work with Lennie Tristano through an entire career of creative collaborations around the world, Lee Konitz has imbued jazz progression with both dignity and fire. The legendary Lee Konitz performs one show at the Triple Door with his vibrant new Quartet, comprised of the German pianist Florian Weber and his band mates in the trio Minsarah. Poncho Theater, Cornish College of the Arts, 710 E. Roy St. 8pm Visit www.click4tix.com for tickets. The second annual City of Music Awards honor local names across the musical spectrum. 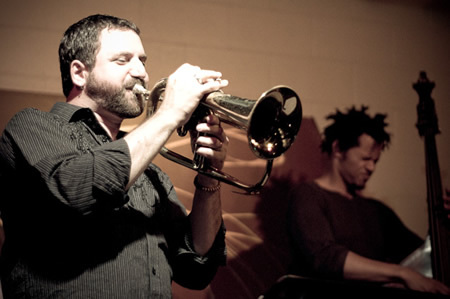 • Garfield High jazz band director Clarence Acox, and Scott Brown, leader of Roosevelt High’s jazz band (Impact Award). The second annual City of Music Awards will be presented in a free ceremony on Oct. 6 at the Showbox at the Market. 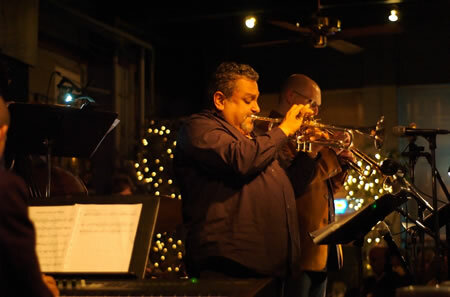 Entertainment will include performances by a Garfield and Roosevelt high school all-star jazz collaboration, a “big brass” tribute to Schwarz, and a prerecorded performance by Carlile. 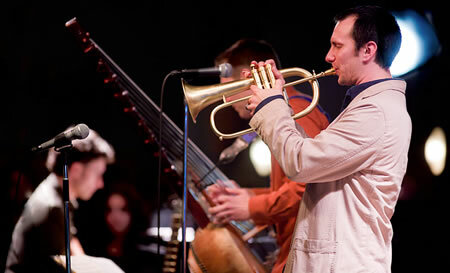 The ceremony also serves as a kickoff for the City of Music Festival, a month of wide-ranging performances. Limited free tickets for the awards ceremony are available at ticketmaster.com. More info: www.seattlecityofmusic.org. Going through the backlog of photos this week and posting some old show “photo reviews” as we like to call them. 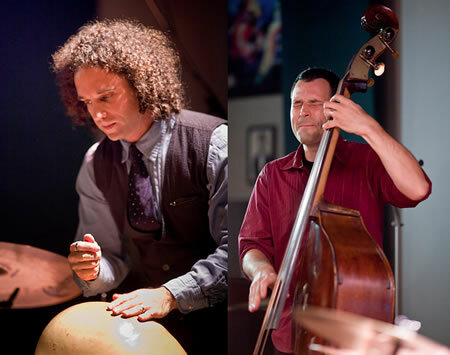 Here are some photos of the Jason Parker Quartet plus guests performing the music of Nick Drake at Lucid Jazz Lounge. On Thursday Sept 9th. 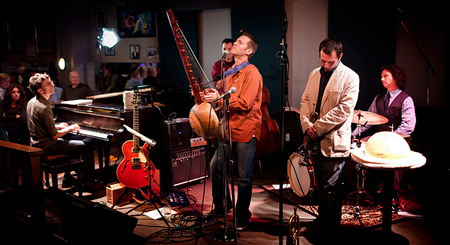 The Kora Band celebrated the release of their newest album “Cascades” which covers a variety of West African pieces, modern repertoire from Congo and Cameroon, as well as originals by Mathis and Oliver with some subtle influences of jazz. 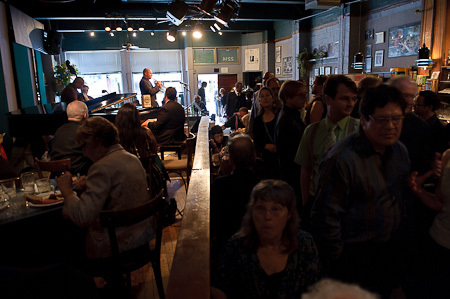 Tula’s was crowded for the first two sets and the music was a delightful mixture of African and Jazz sounds and rhythms. 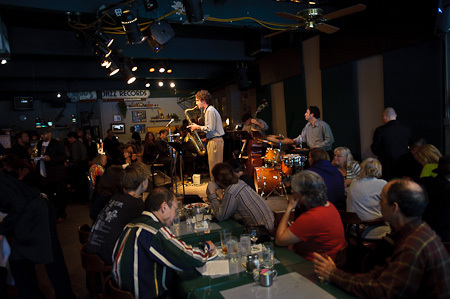 I look forward to hearing them again back at Tula’s as they play on the opening day of the Earshot Jazz Festival.